We’ve officially hit the busy holiday season. Between decorating, shopping, and parties, finding time to fix a delicious meal (or a yummy pot luck) makes this a good option. You can make ahead or fix right then. Here’s the saucy, creamy deliciousness of stuffed pasta shells—without the hassle of stuffing them and with the convenience of make-ahead preparation. Cook pasta as directed on package, omitting salt. Meanwhile, brown meat in large skillet; drain. Stir in pasta sauce; simmer on medium heat 2 min. Remove from heat. Drain pasta. Mix cream cheese spread, basil, Parmesan, milk and Italian seasoning in large bowl until blended; stir in pasta. 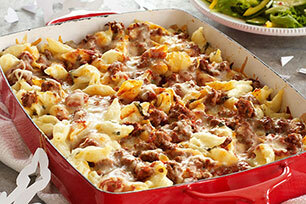 Spread half the meat sauce onto bottom of 13×9-inch baking dish sprayed with cooking spray; cover with layers of pasta mixture and remaining meat sauce. Sprinkle with mozzarella; cover with Reynolds Wrap® Aluminum Foil. Refrigerate up to 24 hours. Heat oven to 375ºF. Bake casserole, covered, 40 to 45 min. or until heated through, uncovering after 30 minutes. This is the type of meal everyone likes–from kids to adults. This is a particular favorite of Cody and his mom, Annie, fixed it a lot. 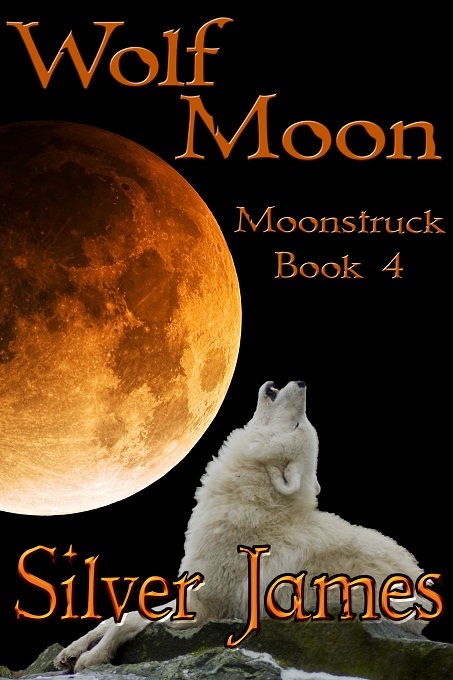 Sean will eat anything, as evidenced by his actions in WOLF MOON (and more of his and Annie’s story in MOONSTRUCK: LIES. CLICK HERE to view a video and to get more info. This entry was posted in Writing Life and tagged books, characters, food, Moonstruck, recipe, Tuesday Treats. Bookmark the permalink.